Book Kentucky's Smokin' Grill Today! Do you have an event that needs the best darn BBQ in and around Kentucky? Dave Kleckner has been a barbecue master since 1973 and he rents out his considerable skills on special occasions. Want to do it yourself? 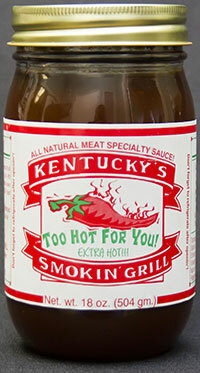 Kentucky's Smokin' Grill Concentrate BBQ Sauce can help you do that too! After creating the perfect Kentucky barbecue sauce, the Kentucky's Smokin' Grill folks packaged it up to make this Kentucky party portable -- to wherever you may be! Need to find the best darn Mustard around? Try our Kentucky gourmet mustard: Grand Reserve Spiced Honey Mustard. Want to see Dave in person and talk barbecue? 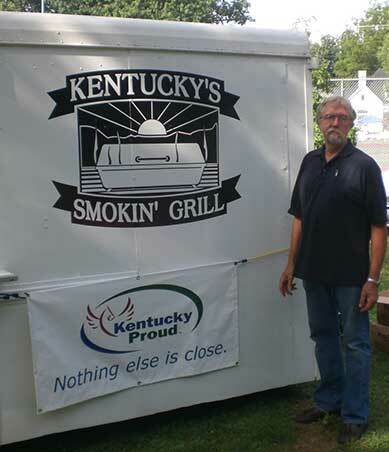 Keep up with his whereabouts on the Kentucky's Smoking Grill's Facebook page! He's always happy to meet new people and share his grass-roots approach to the best southern-style cooking around.